When you come to think of it, the future of technology will need location data that is trustworthy. How can that trust be developed if GPS can easily be hacked? Markus Levin, Co-Founder and Head of Operations at XYO, introduces the concept of the geospatial blockchain. XYO is the world’s first geospatial blockchain network backed with cryptography, connecting digital and physical worlds today. 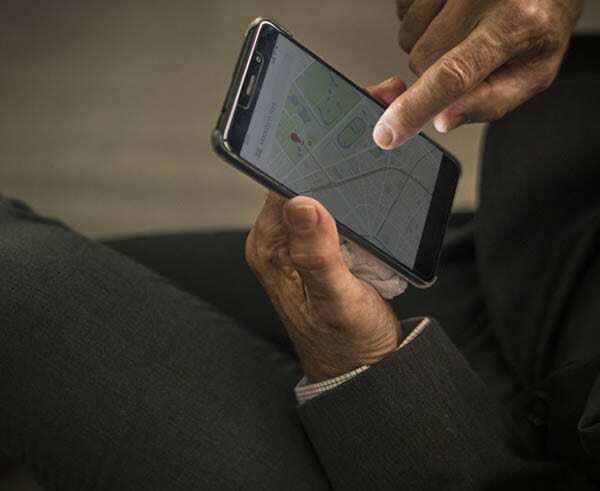 Captive by blockchain technologies, he dives in what makes their product distinct from GPS and shares the future of location technology in terms of applications and features. On the side, he discusses the four components of their network and more. 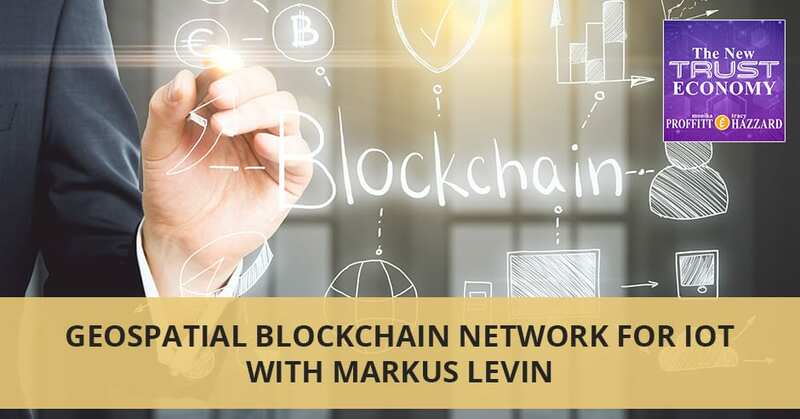 I am with Markus Levin. We met on the Larry King Now Show. I haven’t known much about his company. I heard of it because it was on the docket of an event I attended, but other than that, I hadn’t gotten much experience in getting to know them. We decided to dive deeper because we intrigued each other. He is going to talk more about what XYO is working on. He is the Co-Founder and Head of Operations at XYO. He’s originally from Germany. 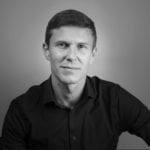 Markus, you have several years of experience in building and growing innovative companies around the globe. What kind of companies? Any type of different things, a lot of startup companies in the fashion industry, eCommerce, lots of advertising, technology and data. I started out with old school business consulting and went into the fashion industry, then production. I started to move more and more into the startup side of that and then technology startups. I’m excited to talk to you more about what you’ve built here with XYO because of its application in the hard good products. Hard good products are my background and experience. I’ve been designing and developing products for mass market for many years. IoT, the Internet of Things, is a big deal in that world. Everyone’s adding geolocation, but you have geospatial blockchain network and it’s backed with cryptography. Can you break that down a little bit for us? Geospatial means inside of space and time. You have XYZ, which is space and then you have T which is time. If you speak about IoT data or any type of data, if you think about the temperature like it’s 80 degrees, you want to know where that is. You want to know is that on the North Pole or is it in Austin or is it San Diego? You want to know what time it is too because that matters. It’s very relevant where the data originates from. Most data is geospatial because it’s relevant where it is. We are confirming location data around connected devices. There’s a big importance that cryptography coming into that, for that being secure. A lot of that IoT, that’s the part where people freak out about it and why they are reluctant to hook up their devices. We hear horror stories about baby monitors being hacked. I have a young daughter and the idea of her being located at her school freaks me out. “Do I let her have a device? Do I let her have a wristwatch? Do I let her have her phone?” are questions that a lot of parents ask. We’re asking these questions. That is an essential part that security is important. You can’t ever say a device is un-hackable. In IoT, it is going to be billions of billions of devices out there. Someone can go to the device in a remote area and try to tamper with it and you probably would never know. The only way to make these networks more tamper-proof is to use cryptography or math to then protect and verify the data and make sure that it hasn’t been tampered with. Bringing all of those things together, you found that blockchain can enable this. One of its key tenets is immutable data. Immutable means are intangible. Once it’s recorded and everybody agrees that this is a dataset, you can’t change the data anymore because it gets multiplied among millions and millions of databases or spreadsheets or blockchains. Once it agrees this is a dataset, you can’t come back later and change it. That’s particularly relevant in IoT because you have millions of billions of devices out there and you can’t realize that certain data is true. What we are doing is we make sure that we give you a confidence score that certain data is accurate. We can say, “We have 97% certainty that your daughter made it safely to school,” or, “She was in an environment where it was 70 degrees or 60 degrees. She wasn’t in the supermarket or another place. She went on the way to school.” We can verify IoT data and give you that confidence. How is this going to rival GPS? Most of us do understand how GPS network works but understanding how yours works, there’s location verifying beacons. Tell us a little bit about the differences between the two. GPS is incredible because it’s accurate. Anywhere on the globe, if you’re not underground and if you’re not where skyscrapers are and there’re no spoofing devices around you, you can get a GPS signal. If you’re in the military within a few millimeters and centimeters, if you are a civilian within a few feet or meters. The problem with GPS is it’s easily spoofed or hacked. You can download a GPS spoofing app and then within two minutes you can pretend that you’re in Tokyo. Maybe not so much for Pokémon Go and other AR-enabled games, but if you speak about smart cities, autonomous cars, AIs, drones, robots or those things, it’s important that you have that location data you can rely on. We’re relying on our devices to report back and verify all information. It is a collaborative look rather than a GPS pinpoint. Geospatial Blockchain: GPS is incredible because it’s very accurate. The problem with GPS is it’s easily hacked. One of our first models was we, as a people-powered GPS, have moved on since then, but that’s exactly what it is. You decide to be part of the said network and you power it yourself. You earn XYO, our cryptocurrency as you provide data which becomes part of the answers. Applications are going to be built on top of that. If you looked at GPS when GPS came out for consumers, it was relevant for navigation systems and that was it. Several years or so ago, the smartphone revolution happened and it seems on your mobile phone is location enabled if you look at Amazon, Uber or Yelp. We built a protocol layer on top of which other businesses can build the use cases. Let’s talk about some applications. It starts to make people understand, “There’s this robust network that you’ve built. How am I going to use it? How is it going to change my daily life?” What are some examples of that? You and I both have a supply chain background. That’s where a lot of stuff happens along that process of tracking the supplies. Am I on the water? Where am I on the water? How much longer is it going to be? That’s an anxious time for a lot of retail buyers and a lot of product people. Thinking about the applications there could be huge as well. You’re talking about being not just consumer use but industrial use. We have partnerships on the industrial side and container shipping company. We have some partnerships which we haven’t quite announced yet on the supply chain side. We partnered with FedEx Institute of Technology in Memphis to enable this certainty-driven supply chain. Imagine you order yourself a bottle of Bourbon and you want to make sure it comes from your favorite distillery in Kentucky. XYO enables your packaging box. We’re working on a sticker-based design. We tap the sticker on there or you put it into the package tape. We can make sure that your bottle of Bourbon came from your favorite distillery and not from some moonshine distillery. I have a good friend who I interviewed on another one of my podcast. He was super proud and he bought this guy’s t-shirt and he was going to wear it while I interviewed him. It was a big deal. It’s one of his heroes. He stands there and the guy goes, “You know that’s a fake?” He was horrified that it was fraudulent and it didn’t come from the right place at all. He thought he was buying a legitimate one. It looked real. You don’t know until you know that it’s not coming from a real source. To expand on that, that’s a big problem with Amazon sellers. Am I the verified seller of something or am I the brand of something? If you’re authorizing brands to sell to resellers, you can say it must come from these locations. If it doesn’t, then it’s not a legitimate sale and it can be more easily shut down once it enters into the warehouse without that code on it, without that tape as you put it or label. That is a significant improvement in the supply chain management side of things. You’ve seen a lot of fraud in fashion. We layer additional data on top of it. For example, your package of Bourbon should not have reached a certain temperature in the delivery truck. The flavors will break down or whatever is the reason. We do about 200 different sensors, light, vibration, acceleration and all the other things. We can graphically secure all this type of data by verifying all these IoT devices around you and also verifying that substance is true. That’s incredible from a transportation side of things. If you’re having lots of breakage, lots of problems, lots of liabilities and you say, “It’s these trucks,” or “It’s this part of the part of the shipping process that it’s not being protected,” that’s useful data. Where are you guys in the scope of building this business? I always like to get down to the business side of building it because that’s also what our audience and partially what I’m interested in knowing too. How did you build this? How did you come to this? How far into it are you? We started the company in 2012. We’re an IoT company in the location space. We have key finders, GPS trackers and other useful things. We went through different product iterations since 2012. In 2017, we realized because of the experience with other data companies and around other location-based advertising that the scale of this and its relevance comes from the location data to be able to have certainty around location data. Once we had this realization, we said, “We have this springboard of our own devices. Why don’t we start to build the XYO Network?” It was at the end of 2017. In January, we had about seven people working on that project. Now, it’s 90. That’s quite an expansion in a short period. We’ve got a lot of confidence from the market. We sold three businesses in the last few years. We had three large companies before. We know how to avoid some of the pitfalls. Maybe other Russian companies in the last few months diversify your revenue streams and don’t grow too fast and all the other basics in business. We sold a lot of other project companies. That helped us to build our business. We build the next iteration of our XYO Network. We launched some apps. We have amazing partnerships out there with 30 odd companies and organizations. We conquer the world and we do well all-around the globe. Having a lot of broad experience in business as you approach new technology helps you to avoid a lot of the development problems. Monika Proffitt, my co-host, and I do occasional episodes together. We were talking about that. Realistically developing your application or developing your interface or all of those things, you have to apply regular good user-interface rules. You have to apply regular software development rules even though you’re building on the blockchain. Not having your scope of work outlined, not having the right team in place or not building on something stable long-term, all of those things apply and you guys haven’t avoided those pitfalls that can commonly happen when you get excited about new technology. You’re on the tech and you forget about the business side of things. A lot of blockchain projects I see it’s three engineering friends or three marketing friends starting a project and they’ll fail because you have three of the same. They can’t see the whole scope. Nowadays, we have a visionary technology genius, Arie, who runs all the technology side and Scott is the marketing psychologist brain. I do more of the mundane business partnerships and all the other things. Partnerships are important, don’t discount that. Those are the accelerators without the cashflow. They are sometimes the most important things we find. I love what you’re building because you have a technology layer that in and of itself can be applied to many industries, which gives you diverse revenue streams in the future and as you are finding with the partnerships that you’re building. It also gives you what I like to call application proof. In different areas, whether you take on a small project or a bigger one, you’re able to get application proof relatively quickly because you’ve got that breath of a technology layer and that’s special. That gives you a lot of opportunities to flex it when something doesn’t go right and things don’t always go 100% right when you’re building a new business. You think this industry is going to boom over here and then something crashes, it’s going to happen. We talked a bit about cryptocurrency and there isn’t a lot of cryptocurrency built into what you’re doing with XYO. You have experience. You bought your first Bitcoin in 2013. That’s nice and early, but your venture is built on the blockchain. Geospatial Blockchain: We can avoid pitfalls by diversifying our revenue streams and not grow too fast. People often put together blockchain and cryptocurrency. They’re two different things. Blockchain especially, the underlying technology layer to enable cryptocurrency but we have a cryptocurrency layer as well. We incentivize people to earn, to take certain actions and then earn XYO as they take those actions. We have four components in our network. You have the sentinels, which is the locational data verification. We have the bridges, which are devices which relay your data like your cell phone or anything connected to the internet. You have the alchemist, which store and process the data which could be your computer or server or something. 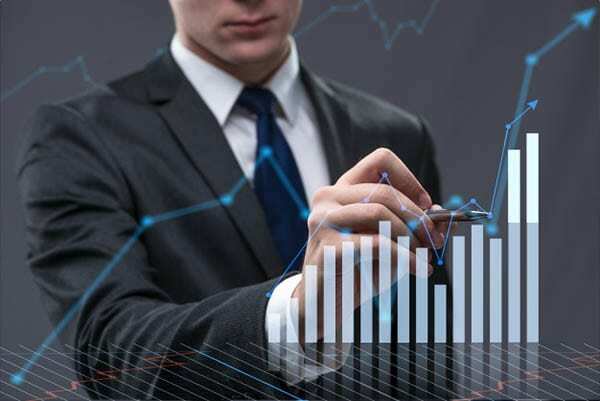 We have the algorithms, which crunch the data which you can run on high-powered computers or servers or most specialized machines. All those devices earn XYO as data becomes part of that. We incentivize it to spread the network. In a way, it’s more tokenization though than it is in crypto because they’re utilizing it within your network. What does XYO buy then? XYO is traded on cryptocurrency exchanges and so on. It’s an asset. You can sell it for US dollars, Euro or Bitcoin. It’s a perfect example of security tokenization. If Amazon wants to work with us, they either compare us in US dollars and be converted to XYO and put it into the network or Amazon can come and pass an XYO. It doesn’t matter to us. We want to make it frictionless for enterprises. A lot of enterprises don’t care much about the cryptocurrency. What they care is what they can hook in as an API and get all of the fantastic data to make their products better and as frictionless as possible. That’s what we enable on the enterprise side. On the consumer side, on the buy side, you have cryptocurrency to incentivize certain actions. You’ve got to get enough people into that network who are enrolling their devices and participating in that because the more there are, the richer that network becomes for you. We have customers in 60 plus countries who bought our devices. We work on updating and upgrading existing infrastructure devices. That’s where our scale is going to come from. You could put our SDK into your mobile app and we can upgrade existing mobile apps or we upgrade existing IoT devices. Any product, we can add to your fervor and in the future as well and any firmware will run XYO. If you have the parking meter out there or your cars or whatever connected device you have, we can upgrade those to run XYO. I’m exploring blockchain on the influencer side of things. I’m a podcaster and I run a podcast network. We’ve been exploring it on that side of things of being legitimate and being of value to brands, advertisers and other things like that. There’s a lot of bad data and there’s a lot of no data. iTunes doesn’t share the data that tells me who my listeners are. I can’t share that with an advertising network. My partner and I invented a microphone that we’re working on and it’s about to come out. It’ll come out onto Indiegogo Kickstarter. The interesting part about it that I was thinking is, “We could upgrade it, put it and make it smart because it’s for doing live interviews out in a field. If I want to be legitimate and say, “I’m at this event now,” we could have that upgraded information and broadcast that to all of our audience, broadcast that through a video. Provide something like that in the future. There are other applications to why you would want to enroll your devices. That’s an interesting concept. They’re starting to think about that possibilities of the future. What would make sense? What devices make the most sense in the future? What’s going to expand, grow and be valid? We have a lot of influencers claim they’re in places and then they aren’t. Is that a problem? There’s too much fraud. It’s a new business. Nobody spoke about influencers. Maybe you have athlete sponsorships but they’re more influencers. The various entry is lower. It’s more difficult to root out bad apples. With this type of technology, if you can confirm someone has the knowledge and or has been at certain places that gave the experiences, you would trust that person so much more. We identified that and launched a partnership with Everipedia. Larry Sanger, Co-Founder of Wikipedia, he’s the CIO at Everipedia. We do a partnership to verify that people have been at places and get first source knowledge. If you are an expert on Wikipedia, you write about the Statue of Liberty all day long but never have been there. With our technology and in partnership with Everipedia, you can say, “The photos which I took there, it was really me and I took it a few weeks ago, which makes me the first source.” If you have more events like demonstrations, riots, voting or anything like current events, you want to make sure that it’s the people who report from there has experienced it. We have this idea that, “You can be on a green screen and report for anything.” It’s not true until you’ve been on the ground as you know in the fashion world. Have you been on the ground where something’s made you do not have firsthand knowledge of? Was the cotton sustainably farmed? Was it sustainably produced? Did the leathers that I was using go through a chemical process? If you haven’t been there, you don’t know that. You can say that’s what the vendors tell me but you don’t know that. It’s important in being able to follow people through the use of their devices or through however that happens. That’s going to be valuable as we go for a proof and trust model in the future. We wouldn’t be talking about trust if we said, “This is a great product. This is a great company.” What is the biggest challenge growth? Is it blockchain? We see a lot of blockchain distrust, a lot of deniers that this is going to work. What do you say? There’s so much enthusiasm in the market at the end of 2017. The beginning of 2018, the markets and everything is stabilized. It might come back up. During that time, a lot of people were skeptical of what we did. We said, “We’re a blockchain company.” We realized a month or two in, it’s becoming not a good term to be a blockchain company. We realized, “We provide solutions which are powered by blockchain.” The powerful underlying technology is what makes our objects work. That changed it for us but it was the most difficult thing in history for us. A lot of people don’t know what we are talking about. That’s true to be blockchain-enabled. I always look at that. “Does this application require blockchain or not?” is an important question to ask yourself when you’re building a company or when you’re taking something or partnering with a company like yours. Is it required to? In a way, yours does because it requires the geospatial verification and that can’t come without proof all along in a way King as we talk about in blockchain. King is important and it is always a good question to be asking, “Is that the predominant thing?” “No, the value isn’t in how you’re doing it. The value is in what you’re providing and that is geospatial verification.” Markus, I’m glad you came on the show. I’m glad we got to dive a little bit deeper. You guys are expanding. I have to come down and see those 90 employees. Is that worldwide? It’s worldwide but we have 85 of them in San Diego. You’re welcome. New Trust Economy is looking to bring you more application stories, more companies that are building on the blockchain, utilizing cryptocurrencies or tokenization and all of those things. We want you to understand that there are valid ideas out there like XYO is working towards in that those are business ideas. Those are opportunities. Those are consumer ideas, in some cases, or industrial ones as well. Whatever that is, that’s what we’re looking. We’re not here to talk about what’s hot in cryptocurrency. We’re not talking here about what’s not. We’re not here to be a skeptic. We’re here to explore the opportunities that are going on and whether there are viable businesses and application stories. Thanks again. We’ll be back again with a new episode. Markus is Co-Founder and head of Operations at XYO. Originally from Germany, Markus has over fifteen years of experience in building and growing innovative companies around the globe. Markus has led companies in hyper-growth industries around the globe, including Novacore, ‘sterkly’, Hive Media and Koiyo. Markus mined his first Bitcoin in 2013 and has been captivated by blockchain technologies ever since. Markus is one of the founders of XYO, the world’s first geospatial blockchain network backed with cryptography. 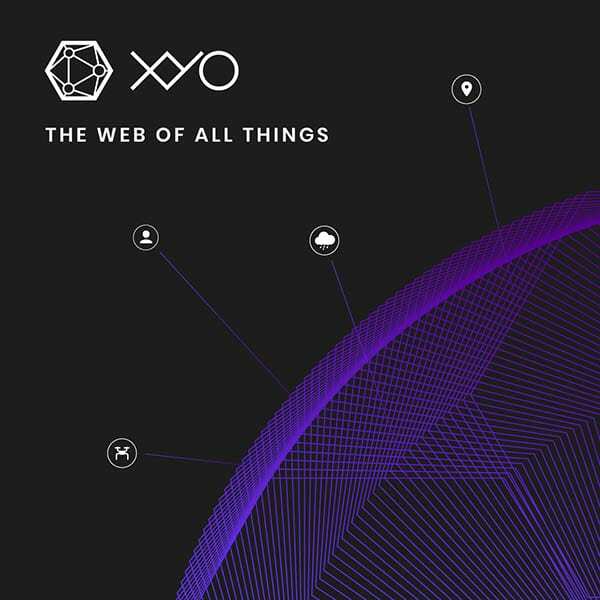 XYO has developed trusted IoT technology that connects the digital world with the physical one. With more than 1 million location-verifying beacons around the planet, the company’s technology rivals the GPS network, and radically transforms the world’s leading industries. XYO partners include mapping giant Esri, FedEx Research Institute, Re/Max Mexico and Spaceflight Industries.